The classic oval design of our Madison Estate Lawn Two Lines Address Plaques makes it a popular choice for most property and home owners. Available in a variety of finish colors to accommodate your outdoor color scheme. 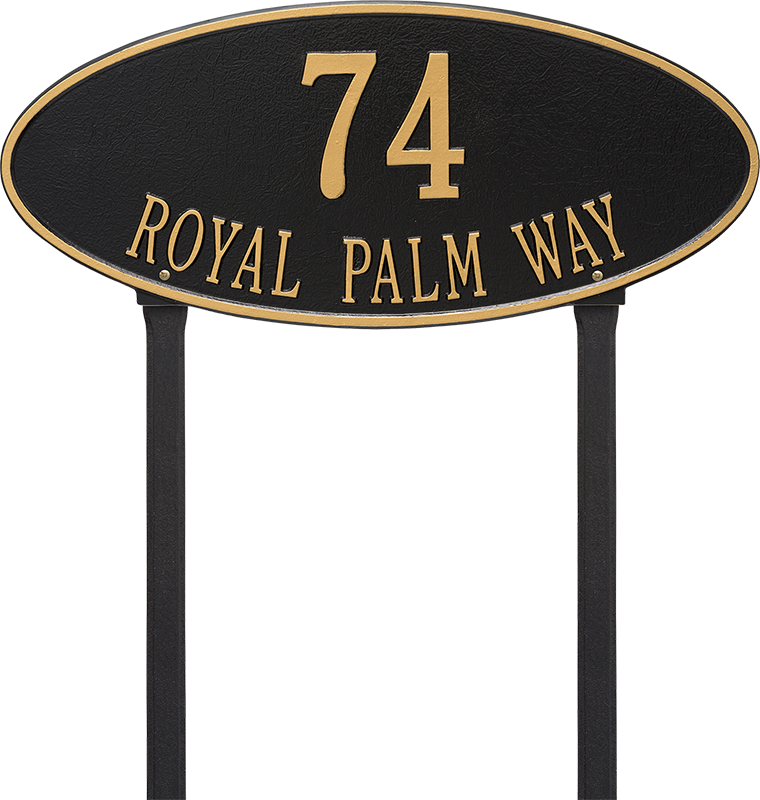 Madison Oval Address Plaque (Lawn) 10.375" x 24.5"